Ruggiero Custom Homes is a local family owned custom home builder, focused on creating a home that reflects each individual buyer’s lifestyle. 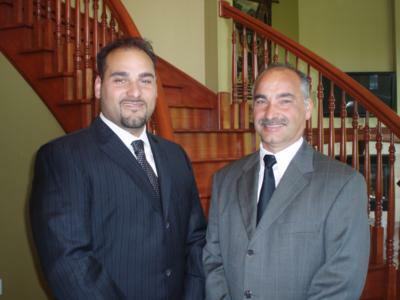 Mario and Joe Ruggiero formed their company in the late 1980’s with the knowledge that superior craftsmanship and professionalism would set them apart. We specialize in building custom homes that are designed to fit our clients needs and lifestyles. We offer a true custom alternative. Each of our homes is designed from scratch combining the input of our clients with the expertise of our professional designers and our years of building experience. Over the past 30 years, Ruggiero Custom Homes has become known for their attention to detail and their exceptional knowledge of construction. They have built over 800 single family homes in Northeast Ohio, ranging from the Low $200,000 to over $1,000,000. Building a new home is an exciting experience and Ruggiero Custom Homes will help you choose a location, layout and custom features down to the finishing touches. “We always welcome our clients to come on-site and walk through their new home anytime during construction”. This is when the client can really see and touch what they are getting.